James Richardson, D.O. a generous gentleman. 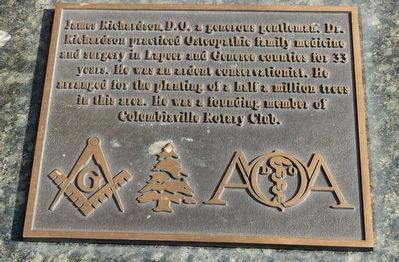 Dr. Richardson practiced Osteopathic family medicine and surgery in Lapeer and Genesee counties for 33 years. He was an ardent conservationist. He arranged for the planting of a half a million trees in this area. He was a founding member of Columbiaville Rotary Club. Location. 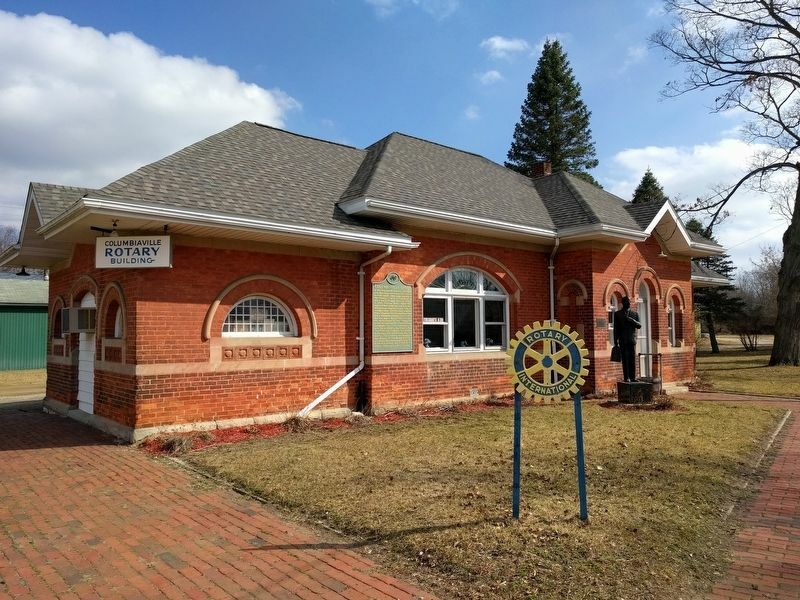 43° 9.352′ N, 83° 24.535′ W. Marker is in Columbiaville, Michigan, in Lapeer County. Marker is on First Street south of Pine Street (Route 44). Touch for map. 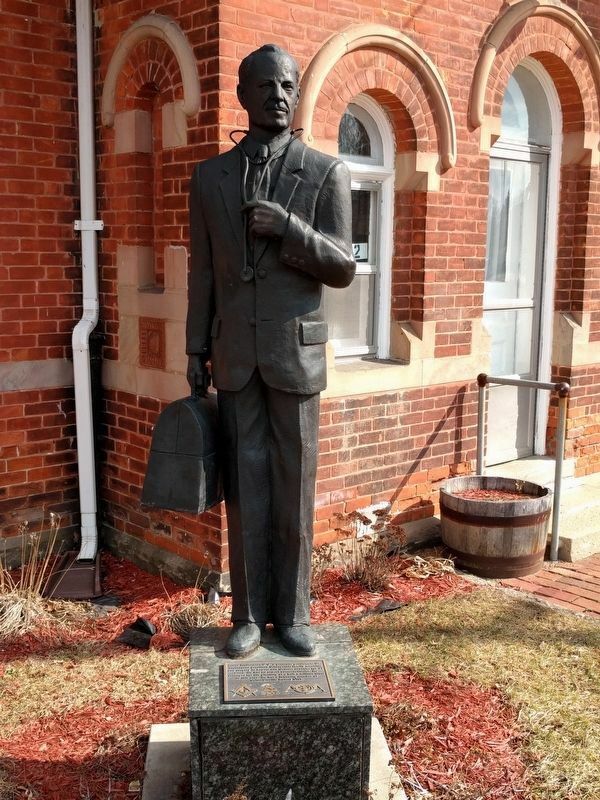 Marker is at or near this postal address: 4422 First Street, Columbiaville MI 48421, United States of America. Touch for directions. (approx. 5.9 miles away); Laing-Mason House (approx. 6.1 miles away); The Tuttle House (approx. 8.3 miles away). Touch for a list and map of all markers in Columbiaville. More. Search the internet for James Richardson, D.O. a generous gentleman.. Credits. This page was last revised on February 24, 2017. This page originally submitted on February 24, 2017, by Joel Seewald of Madison Heights, Michigan. This page has been viewed 217 times since then and 6 times this year. Photos: 1, 2, 3. submitted on February 24, 2017, by Joel Seewald of Madison Heights, Michigan.